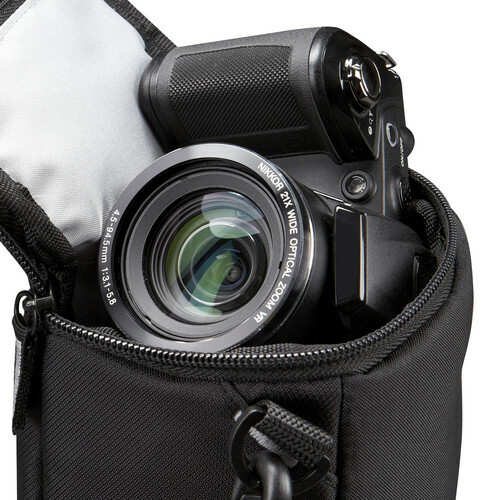 It holds Olympus OMD EM10 II with 14-42 kit lens very comfortably. 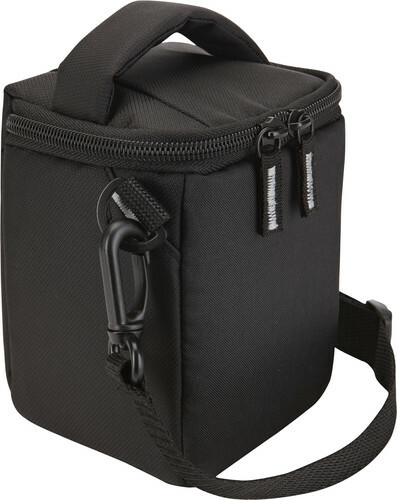 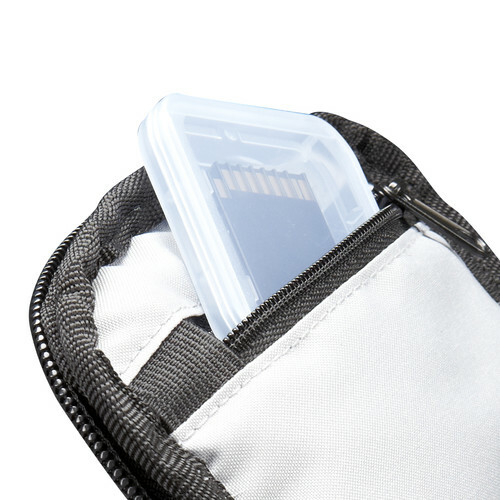 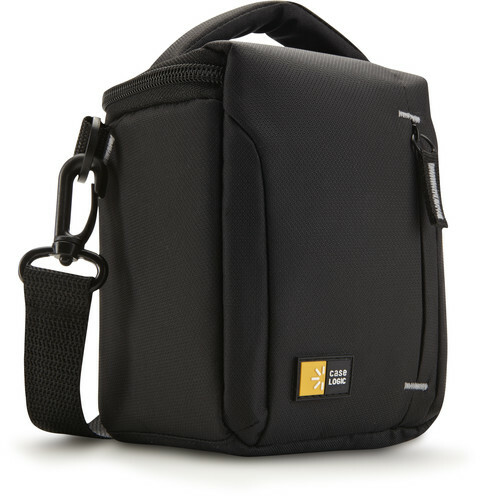 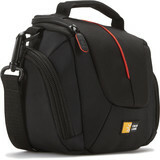 You can carry a spare battery and or two SDHC Card(s) in both interior and front zippered pockets. 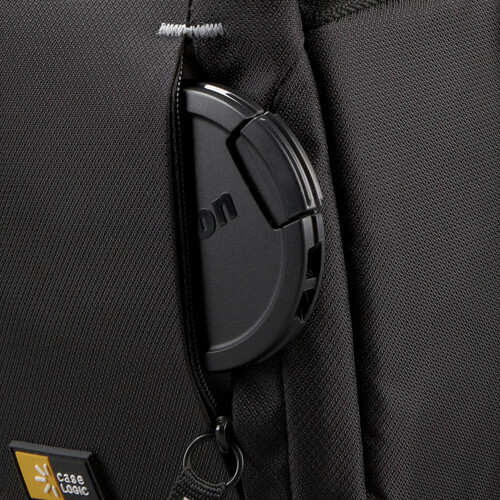 Alternatively, you can carry a 58mm filter and spare battery in front zippered pocket.